We are launching a letter writing campaign to Lindsay Hayes and want copies sent to Matthew Lopes. Please choose from one of the template letters linked above. Personalize your letter, use the templates as a guide, or just print and sign. Personalized letters often carry more weight than a form letter. Linked are quotes from people suffering the checks in Pelican Bay SHU and CCWF death row. Please include their voices in your letter. We would like all of these quotes to get sent, so choose ones that speak best for you. Send your letter to the suicide expert, Hayes, and a copy to the Special Master, Lopes. Addresses above. Please write your contact information on the letter and your return address on the envelopes. If you are able, set up tables at events and get other people to write letters. Ask them to sign printed templates, personalize their letters as much as possible, and write their return address on the envelopes. Fliers for tables are linked below. 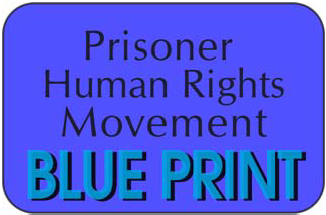 For more info, click on the “Sleep Deprivation” tab at prisonerhungerstrikesolidarity.wordpress.com (Sleep Expert Reports, Media Articles, Videos, Personal Testimonies, Attorney Reports, Scientific Articles, Letters in Opposition). These mental health professionals and sleep experts concur. So please get out your pens and let’s get a flood of letters to stop the sleep deprivation! shining flashlights in their eyes. The checks must stop. They are causing sleep deprivation, which is TORTURE. The checks serve no welfare or security purpose; they are only harming the prisoners, mentally and physically. It appears CDCr is attempting to prevent effective human rights work by prisoners in solitary by instituting a debilitating and internationally-condemned torture technique: sleep deprivation. Prisoners in solitary have effectively organized to bring the world’s attention to the torture tactics of California’s prison system. 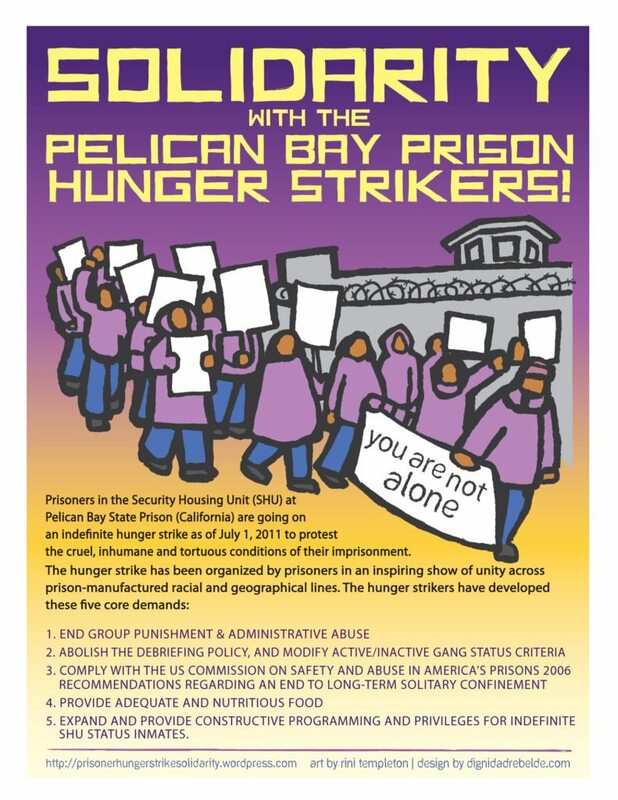 The CA prisoners’ 2012 Agreement to End Hostilities between racial/ethnic and geographic groups (initiated by people in Pelican Bay SHU), made possible the CA Prisoner Hunger Strike of 2013 by more than 30,000 CA prisoners and 100’s more nationwide. Their human rights organizing has grown unity between prisoners, sparked a mass movement to end solitary confinement, and led to the historic 2015 settlement ending indefinite solitary confinement in CA. The so-called “security/welfare checks” first began in Pelican Bay SHU in late May 2013, before prisoners began the largest hunger strike in history (started on July 8, 2013). People locked in Pelican Bay SHU reported “They [guards] are waking us up every 30 minutes, trying to break us before the strike. But, we’re not going to let it stop us.” The checks in Pelican Bay SHU ceased before the 2013 hunger strike, yet started up again in August of 2015, just as the Ashker v. Brown prisoner civil rights class action settlement was finalizing. The checks are particularly loud and distressing for people in CCWF death row, from guard aggressiveness, and in Pelican Bay SHU where cramped, concrete architecture also amplifies the noise. The checks have been ongoing at CCWF since May 18, 2014, and at Pelican Bay since August 2, 2015. Prisoners are suffering severe stress, agitation, vomiting, faintness, depression, panic attacks, dizziness, black-outs, high blood pressure, accelerated heart rates, headaches, migraines, eye problems, weight loss, intestinal and stomach problems, and heart issues. It’s difficult to concentrate, read, write, exercise, do legal work- the things that help them survive. Deprivation of sleep increases risk of numerous chronic and potentially terminal illnesses and conditions. Since late August 2015, there has been a grassroots campaign, legal action by prisoners and by the Ashker legal team, and an official Complaint submitted to the United Nations, with the aim of halting the checks. CDCr has ignored prisoners’ individual and group complaints and has done nothing about the mental and physical problems resulting from or exacerbated by the sleep deprivation. The checks are an outcome of Coleman v Brown, a 1995 class action lawsuit brought against the state on behalf of prisoners with severe mental illness. No surprise, the court determined that CDCr was not providing adequate care to prisoners with mental illness. (Healthcare by CDCr is still grossly inadequate.) The “security/welfare checks” are purported to be “suicide prevention,” yet are being used as a blanket practice, whether prisoners are suicidal or not, and despite the fact that denial of sleep can cause mental illness, and may even drive someone to suicide. The suicide rates in PB SHU and CCWF death row are low; one suicide in 10 years and none in 20 years, respectively. Sleep expert Zeitzer and psychiatrist Kupers concluded people suffering from them may be at a higher suicide risk than before these checks began. This entry was posted in Action Alert, Uncategorized, Update and tagged #StopTortureCA, Agreement to End hostilities, American Public Health Association, amplified noise, Ashker v Brown, CA Prisoner Hunger Strike of 2013, california department of corrections and rehabilitation, CCWF, CDCR, Central California Women's Facility death row, Coleman v Brown, Complaint to United Nations, Condemned Units, cramped concrete architecture, debilitating, Dr. Jamie Zeitzer, Dr. Terry Kupers, guard aggressiveness, Guard One, human rights organizing, informational flier, internationally-condemned torture technique, letter writing, Lindsay Hayes, loud steel doors, Matthew Lopes Jr, Pelican Bay State Prison (PBSP) Security Housing Unit (SHU), PHSS Committee to End Sleep Deprivation, psychiatrist, security/welfare checks, sleep deprivation, sleep expert, solitary confinement, suicide risk, template letter, voice of prisoners. Bookmark the permalink. “Failure to keep from harm” is a federal Color of Law crime that the FBI is obliged to investigate and the Department of Justice is obliged to prosecute. It’s up to President Obama to hold James Comey and Loretta Lynch to their mandates.